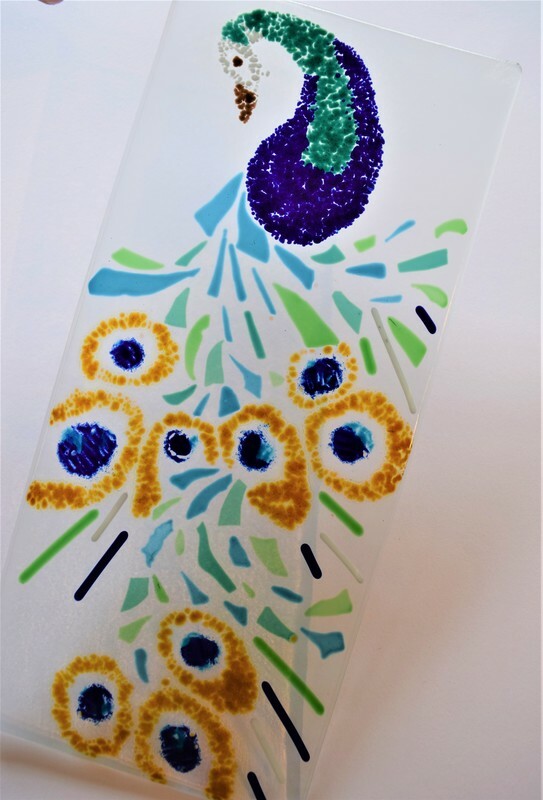 Enjoy a workshop creating beautiful glass where the emphasis is on fun, creativity and relaxation. 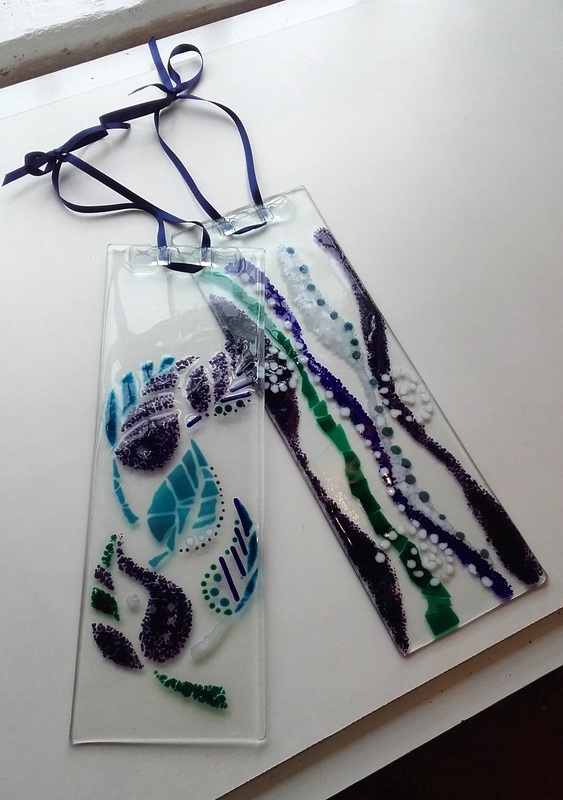 Along the way you learn the principles of glass fusing. 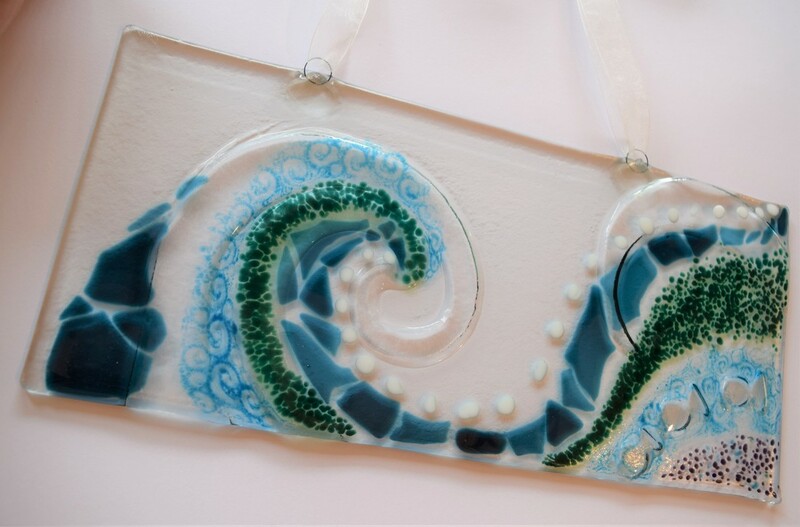 You will make lovely glass art works and achieve so much even on your first day ever glass making. 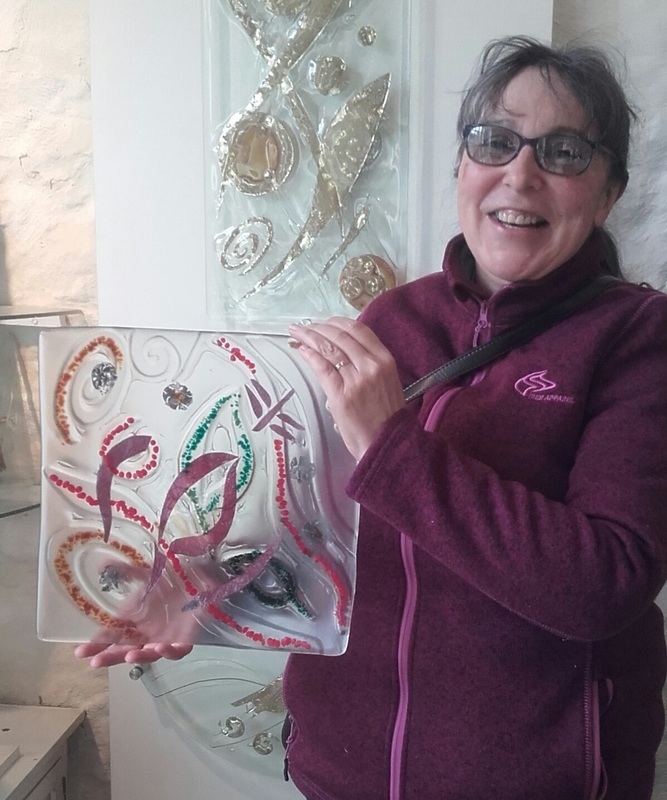 Expert tuition is given by master glassmaker, Joy Greenhalgh. 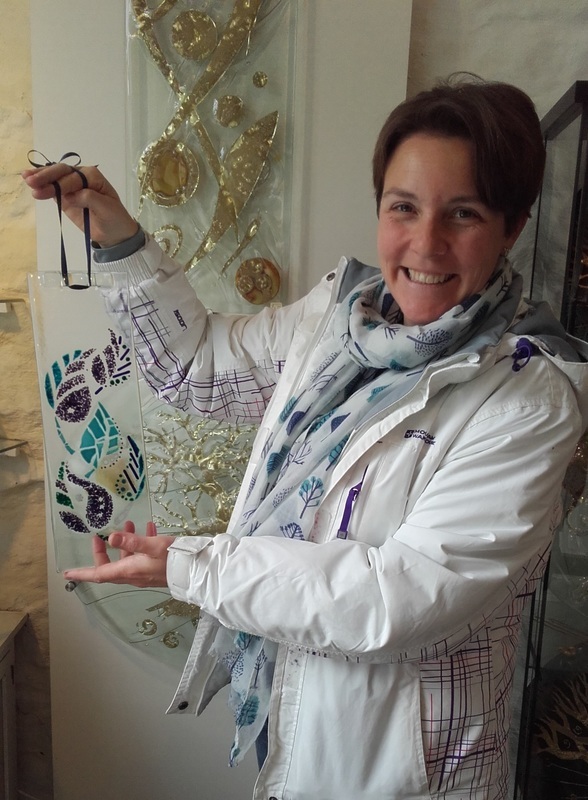 "I have been a full time professional glassmaker for 30 years, but I am also a fully qualified craft and design teacher. 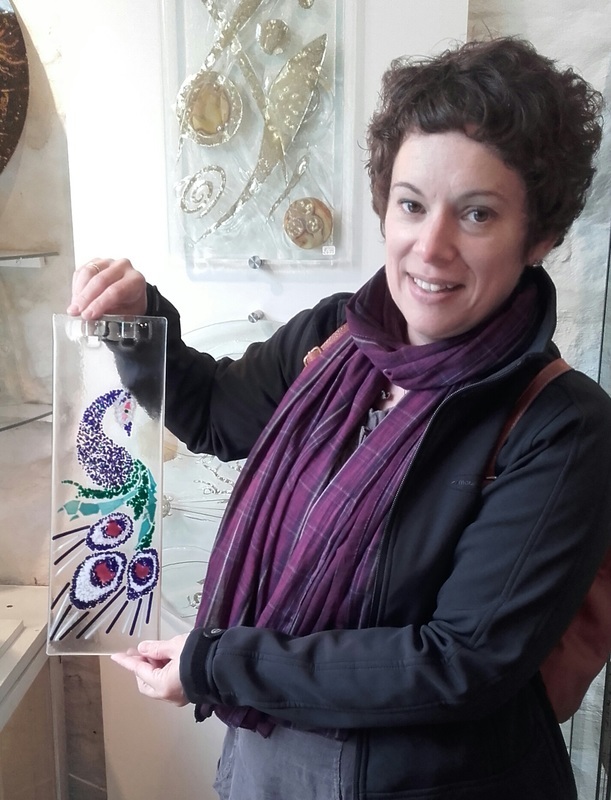 I love sharing my experience : showing people how to use the beauty of glass to bring even the simplest design ideas alive. Everyone is an artist and it is a true pleasure to bring this out in people. I provide ideas to spark you on your way, or please feel free to use your own designs. " 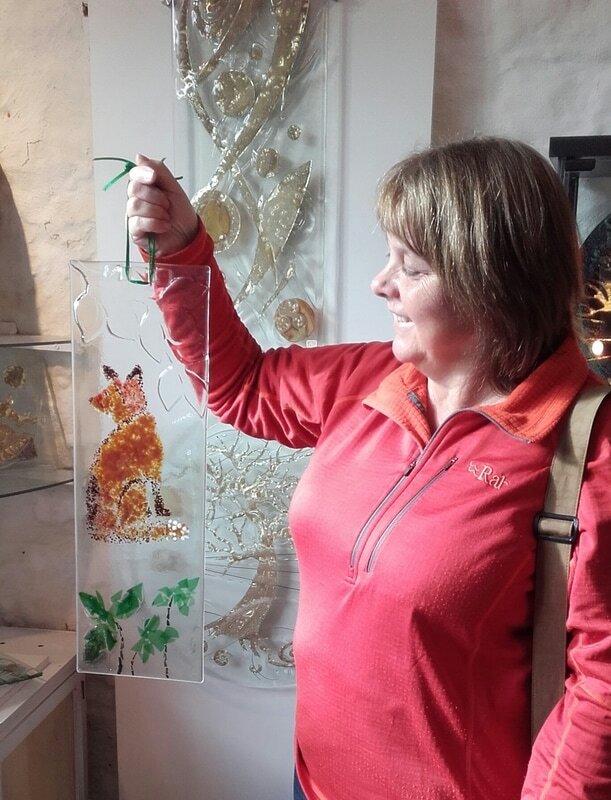 It all takes place in the wonderful Greenhalgh Glass Gallery surrounded by glass artworks. The gallery is on a river island adjoining an historic water powered mill nestling in the hills of the Derbyshire Peak District. 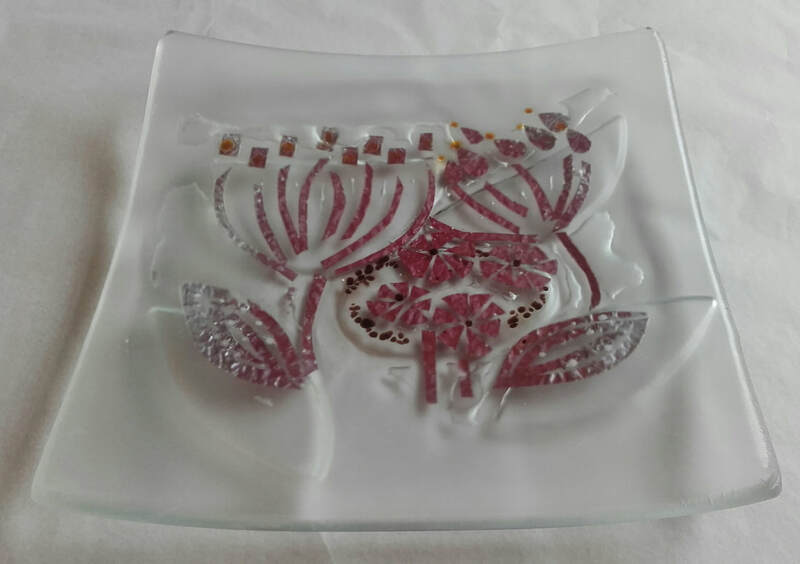 You will work with coloured glass grains, chips, powders, confetti and stringers and learn the wonderful art of heat carving. There are more advanced techniques to move on to including metal inclusions. 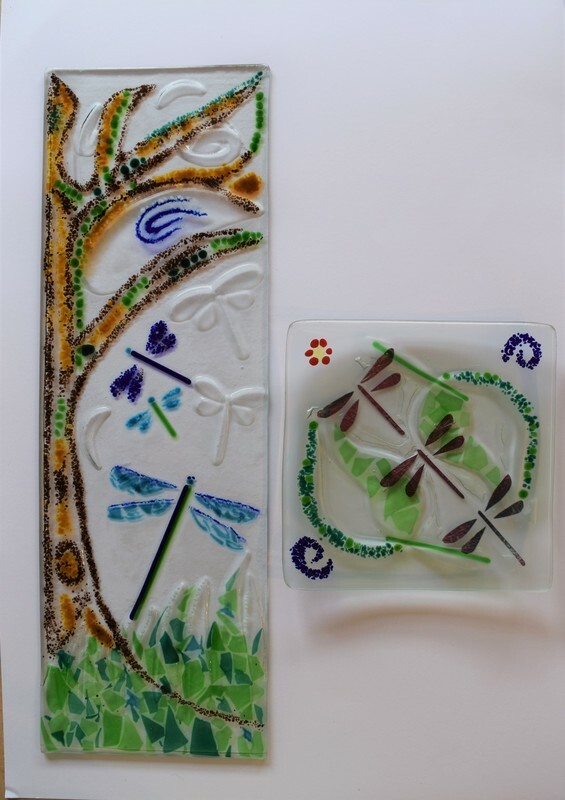 Your finished artwork will be fired in a specialist kiln and be ready for collection a few days later. 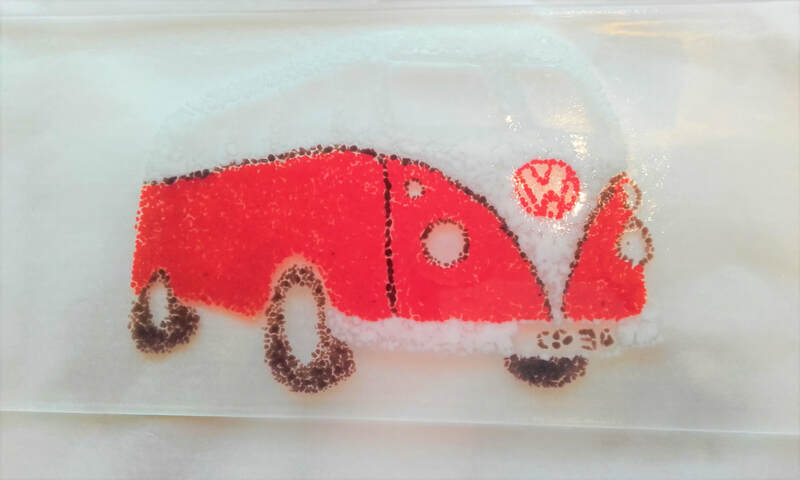 No previous experience is required, and there is no glass cutting involved - not everyone likes glass cutting! If you have already attended one of our courses, just let us know when booking and we can devise a new project for you. The processes you learn have been chosen so that they can easily be replicated at home should you wish to buy your own kiln. 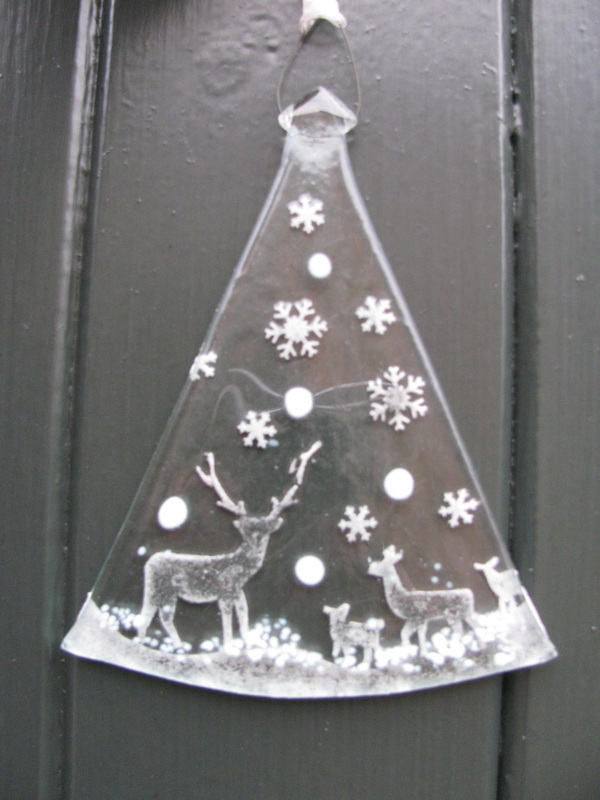 Workshops run all year round, but in November and December we run special workshops making Christmas decorations. 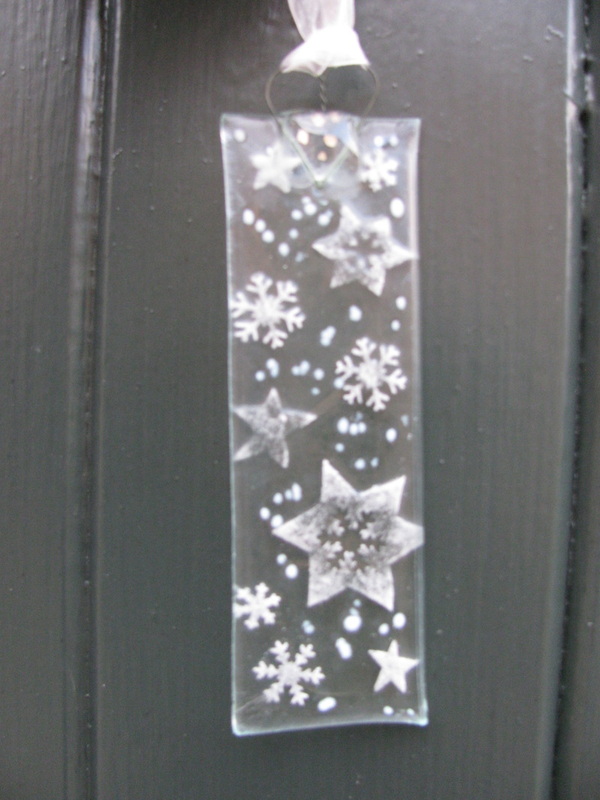 These are incredibly popular so book as early as you can. Hope you can join us as we make our way into the festive spirit. 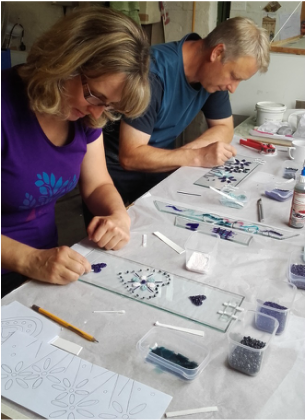 Join in on one of our pre-planned workshop dates as listed on the website, or get together a group and arrange a date to suit you. ​To book call in at the gallery, email or ring 07906 728280 and speak to Joy personally. 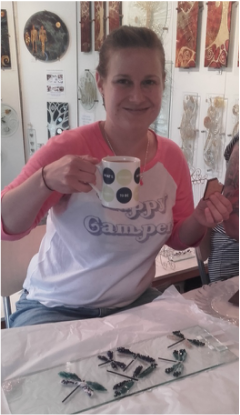 A three hour course for larger groups is available which is perfect for a Birthday Party, Hen Party, Friends get together or a Works Away Day . Please enquire. ​All materials and firing in our specialist kiln are included in the fee. ​There is unlimited free tea, coffee and yummy biscuits to fuel your creativity. Bring a pic-nic or pop over to buy lunch at the superb café just opposite. ​For further dates ( or to go on the waiting list for places made available in the event of cancellations ) please ring 07906 728280. 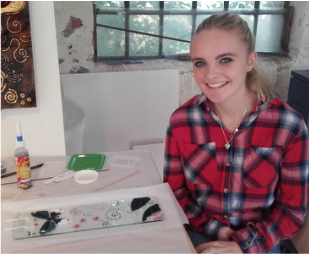 Fused glass making workshop today at Rowsley. It was amazing! Really interesting learned a lot. Joy Greenhalgh's enthusiasm was great and we hopefully created something nice. Can't wait to see the final product. I would recommend the workshop to anyone! 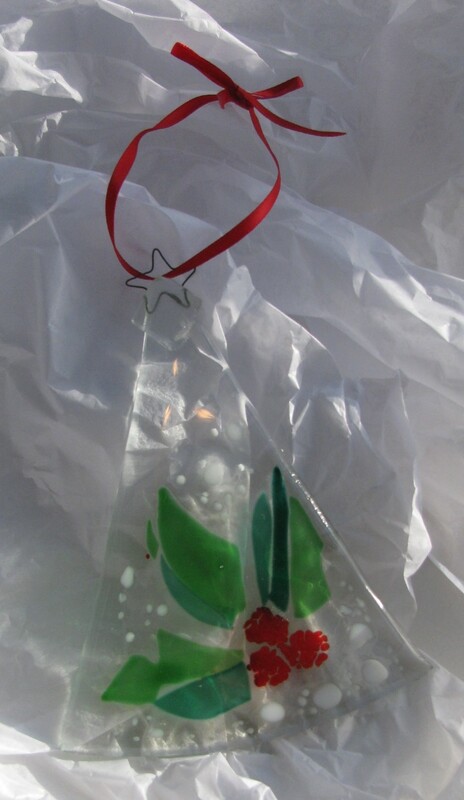 During the morning you will make 5 beautiful tree decorations, then following on from that the afternoon gives you the opportunity to make more decorations or choose a larger project : for example a bowl. The day is from 10 until 5 with lunch break 1 until 2. All materials are included - plus plenty of tea, coffee, biscuits and of course..... home made mince pies! 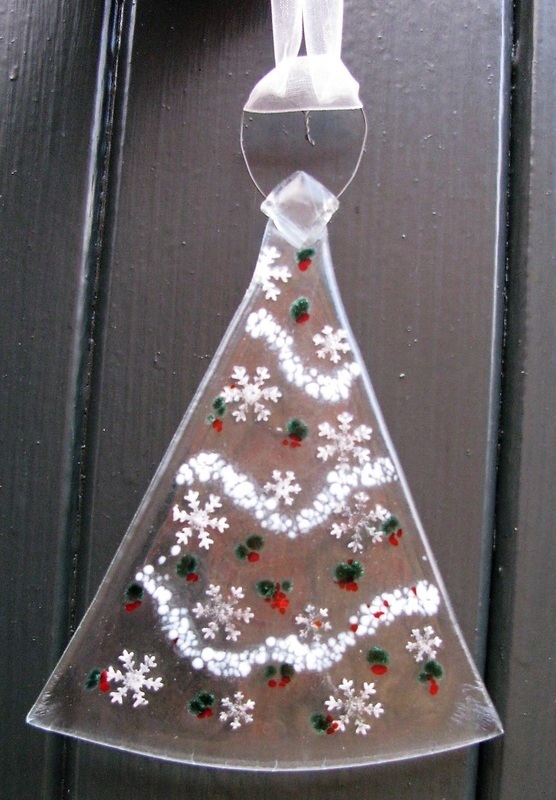 No previous experience necessary - no glass cutting involved - just relax and enjoy being creative and festive. An absolute must for anyone who loves Christmas as much as I do ! We look forward to meeting you and sharing a creative time on one of our workshops.